The poorly understood condition of Bone Marrow Failure Syndrome, one form of which is known as Aplastic Anemia, has received a major boost. On Wednesday 10 June, St Kilda Football Club Captain, Nick Riewoldt, and his family launched Maddie Riewoldt’s Vision (MRV). The Riewoldt family established MRV after Aplastic Anemia tragically claimed the life of their sister and daughter Maddie, 26, in February this year. MRV has been launched in memory of Maddie, and embodies the spirit that she showed over the course of her 5-year battle with the illness. Maddie never gave up as illustrated by the extraordinary 227 days she spent in the ICU of the Royal Melbourne Hospital; the longest stay of any patient in the ICU in the Hospital’s history. 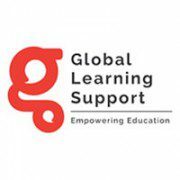 Global Learning Support (GLS) has given MRV a kick-start by making a donation of $10,000. Speaking about why GLS made the donation company co-founder, Jarrod Nation, said. Maddie Riewoldt’s Vision aims to raise awareness of Aplastic Anemia, how it affects young people, improving knowledge of the illness, providing support into treatment and ultimately finding a cure for it so that others do not suffer what Maddie did. “I urge every mum and dad who have been blessed with healthy children to get behind MRV to assist those who are not so fortunate” Mr Nation said. To donate to Maddie Riewoldt’s Vision please visit www.mrv.org.au or SMS ‘Maddie’ to 0437 371 371.